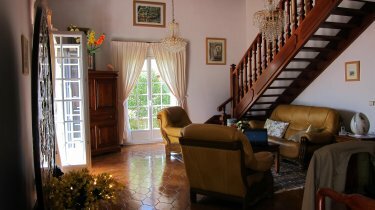 Villa with 4 bed rooms, vast living room-dining room, separate fully equipped kitchen, large bath room with tub, shower and double sink. The terrace with electrical awning is ideal for out door breakfast or dinner (big barbecue next to it). the 12 x 6 m covered private swimming pool and its Jacuzzi is next to the terrace. Thanks to the cover swim 9 months any time of the year. The land is 700m2, is fully enclosed with trees, walls and fences and includes a private parking slot, on top of the large garage. 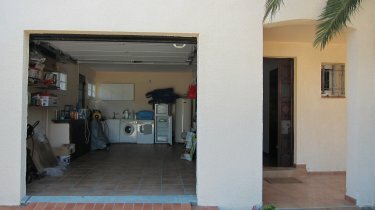 The villa is less than 2km from the sea and the 27 holes golf. Less than 5 minutes walk to all kind of shops, doctors, post office and schools. 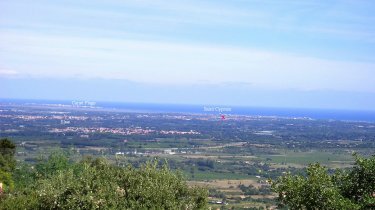 14 km from Perpignan (closest airport at 30km) and 15 km from Spain. Note: the villa is also for sale.